According to a new report from an advocacy group, survey data shows that sexual harassment in the restaurant industry is widespread, with 60 percent of female and transgender and 46 percent of male workers saying "sexual harassment was an uncomfortable aspect of work life." In addition, the union-backed group, the Restaurant Opportunities Centers United (ROC), said that analysis showed workers who made a reduced minimum wage because of tips experienced even higher levels of sexual harassment. However, the methodology used by the organization raises questions of whether the surveys were statistically valid and accurately represent employment in the restaurant industry as a whole. Calling sexual harassment "endemic to the restaurant industry," the report states that two-thirds of women and more than half of men said they had experienced "some form of sexual harassment" from management. Almost 80 percent of women and 70 percent of men said they experienced sexual harassment from co-workers, while nearly 80 percent of women and 55 percent of men said they experience some form of sexual harassment from customers. A third of women and 25 percent of men experienced sexual harassment from customers at least once a week. 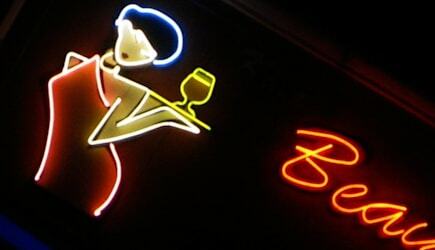 Sexual harassment could include such behaviors as sexual teasing, jokes, remarks, or questions; comments about sexual orientation or gender identity; pressure for dates; sexually suggestive looks or gestures; being told to alter appearance beyond the restaurant's dress code; or being told to flirt with guests. Nearly half of women and 47 percent of men "found sexual harassment to be a scary or unwanted aspect of the work environment in the restaurant industry." Twenty-nine percent of women and 22 percent of men said being touched inappropriately was a common occurrence at work. Transgender workers were almost three times more likely to report harassing comments about their sexual orientation or gender identity from management and were 2.5 times more likely to report such comments from customers. The ROC also reported that tipped workers were more likely to experience sexual harassment and tolerate inappropriate behavior. If the report is accurate, the results are concerning. The popularity of restaurant work continues to grow. According to the latest jobs report from the Bureau of Labor Statistics, food and drink service employment grew by more than 20,000 in September "and is up by 290,000 over the year." Historically, the often sexually charged atmosphere in the restaurant industry has led to an outsized number of sexual harassment charges. An MSNBC review of EEOC data in 2011 showed that in the period from January through October, 37 percent of more than 400 sexual discrimination suits and settlements came from food service workers. However, that is different from saying what percentage of sexual harassment complaints came from the restaurant industry. In 2011, there were a total of 11,364 sexual harassment charges across all industries filed either through the EEOC or state and local Fair Employment Practices agencies. However, there are issues about the study's methodology that raise a question of how representative it might be. The report did not include a list of questions, which can be a source of biased results. In addition, although the 688 "valid surveys" were reportedly from current or recent restaurant employees, there is no indication of how the people were recruited and whether they were actually representative of restaurant workers at large. The report did not include measures like a margin of error, a measurement of how reproducible the results would be. Such a lack might mean that the survey was not scientifically undertaken and could not be projected to the industry as a whole. Previously, as the report noted, ROC had collected 5,000 surveys from restaurant workers and found that "[o]ver ten percent of workers surveyed reported that they or a co-worker had suffered from sexual harassment." That is a much lower percentage than now claimed. ROC did not respond before publication to requests to its public relations firm for an interview. An industry group representing individual and large corporate restaurant owners, the National Restaurant Association sent a statement saying, in part, that it "takes charges of sexual harassment very seriously." It further said, "The assertion from ROC that the tipped wage somehow increases sexual harassment by customers is another effort to confuse the reality of the tipped wage in the industry."